Before you go straight to our highly-researched top picks of the best harness for your dog, ensure you read these informative and easy-to-follow guidelines first. Why choose dog harness instead of a simple leash? Dog owners won’t have any problems to keep their pets on a leash without harming them if they use a dog harness. In addition, this product can keep the dog safe because it cannot slip out of its collar. The dog harness is able to do this thanks to the many loops, usually covering the torso of your pet and the interconnecting straps found on it. Instead of putting pressure on the dog’s neck, the dog harness reduces pressure which is now felt in the upper part of the body. 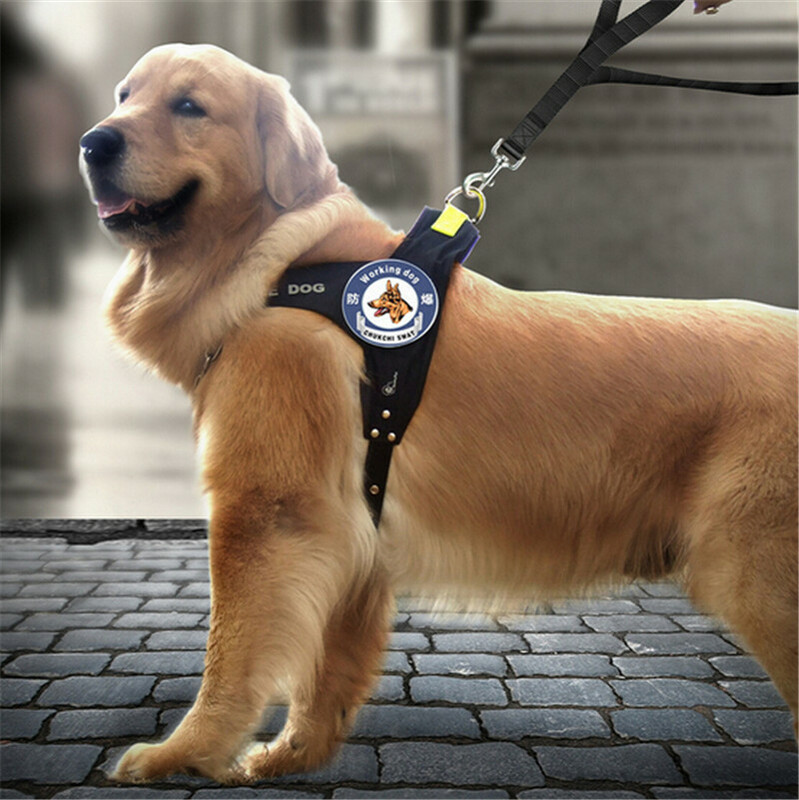 It doesn’t matter whether someone is interested in using a dog harness for their pet or for an assistance dog; These items are very helpful because the dog owner can rest assured that whenever they are walking their furry pal, there is a minimal risk of injuries and escapes. If you are interested in buying the best dog harness, you should know that there are many things that one must take into consideration. Learning the characteristics of different types of dog harnesses, their properties, how to measure the size and few other things are part of this process. There are literally hundreds of dog harnesses in the market. Even if you have the right measurement and if you take the above-mentioned things into consideration, there is still a chance to make a mistake. This is the reason why you should stick to the top picks presented in this article. These products are following the guidelines we have presented above. If you are looking for a great walking harness for everyday use, then you can’t go wrong with this product (unless you have one of the heaviest big fellas). Kurgo is a reputable company that has few other models in its offer, but this one is definitely the most popular. It comes with quick-release buckles made of high-quality, non-toxic plastic which means that it is both safe and easy to use. There are five adjustment options that let you make your dog feel comfortable. This product also has a halt ring on the chest and the package includes 1 ten-inch lead for basic training. You can choose harnesses for different dog breeds. HM tip: Consider this the top-notch choice for small to medium-sized breeds. Also, somewhat larger dogs might fit right in the X-Large, however, bear in mind it shouldn’t exceed 50 kgs. 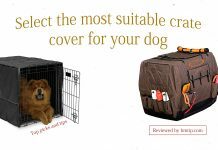 PetSafe is another popular dog accessories manufacturer. This is a standard harness that has back, chest and belly straps that are easily adjusted. One of the things that make this harness special is the fact that you will have to attach the leash to the chest upfront which means that you can easily turn your dog. On top of that, this dog harness looks simple yet beautiful and has many positive reviews. HM tip: Consider this a fantastic choice for dogs that tend to pull really hard and suddenly, as the leash’s attachment point gives you a better control than the regular ones. This is a fine example of a durable chest harness. It has an adjustable size of 22 to 27 inches and weighs just 7.2 ounces. But the best part about this one is that it has many different features. The Chai’s Choice Best Front Range Dog Harness incorporates the best features of the most popular dog harnesses found on the market today. For instance, it has a chest plate and a padded back plate secured with strong straps. Dog owners can easily attach a leash both in the front and at the back of their pet. HM tip: This might be the most adjustable dog harness available in the market that’s also made of solid material, and just like our pick No. 2, has a feature of attaching the leash to the front (AND at the back). Also, consider this a great choice if you’re walking your dog at night as it has reflective material added for good visibility. Moreover, it features a sturdy handle in order to secure your companion during car travel. Rabbitgoo dog harness comes with a fully adjustable chest girth and neck girth that can help you walk almost any dog freely. It has two independent leash rings on the chest and the back which means that it can be used in different ways. It comes in four different sizes for different dog breeds. HM tip: Consider this a truly great choice for larger breeds who like to move around. Also good for nightly walks as it features reflective straps. When searching for the best dog harness, pet owners must know what kind of dog harness is suitable for their dog because these products come in different sizes, shapes, and styles. In this paragraph, we will explain the differences between dog harnesses. While it is true that they work in more or less the same way, it is also true that each of them has some unique characteristics. First of all, there are standard dog harnesses which are made of straps that can be adjusted easily. This type of harness covers the torso right below and above the dog’s front legs. Some of these harnesses have an extra strap that covers the lower abdomen for added security. In any case, the leash is connected to the top of this item. Next, there are also step-in harnesses. In order to use this harness, you will have to make your dog step into the dog harness. The other characteristics of this type of harness are more or less the same as the ones found in standard harnesses which mean that the risk of escapes and choking is minimal. If you are interested in the best small dog harness, then you should definitely take vest harness into account. This harness will encircle most of the dog’s torso with fabric and it is usually kept with strong straps. There are cases when manufacturers use accessories that will make the harness look stylish. On the other hand, the easy-on harness is another type of harnesses that might be good for small dog breeds. It has fast release buckles, easy slip on and slip off feature and they are quite light. Finally, the so-called built-in harnesses come with a built-in leash so you’re practically getting a 2-in-1 product. It’s worth mentioning that many other types of harnesses include this feature like vest harnesses for example. What makes a good dog harness? 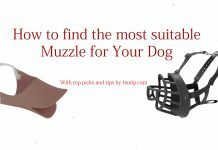 As we said before, there are some things that you should analyze before you make sure that you are looking for the best dog harness for your dog. The length, manufacturing, and fabric type are probably the most important thing in this process. The harness must come with straps that have adequate length for the size of your dog. In other words, the best small dog harness is the one with short straps. Generally speaking, the harness should not go beyond the dog’s waistline (below the ribs). Harnesses are designed to cover about 50% of the back of your dog, that’s why they look like vests. It is possible to find larger dog harnesses, but they usually have an extra strap placed on the hind legs. Keep in mind that too large harnesses can add pressure and weight to your dog’s belly and chest. The type of fabric used in the dog harness has a direct impact on the durability and strength of this product. Namely, a harness made of a flimsy material will probably last for a short period of time when used on a large dog breed. However, smaller dogs won’t have any problems with them. Robust and thick materials are great for larger dogs, but they can be restrictive and inflexible for small dog breeds. So, the size of your dog should determine the type of fabric you want to use. Another thing that we should highlight while we are talking about fabric type is the way in which the fabric is stitched. The best dog harness is the one that has been fused and top-stitched after that. There are few other things that you should analyze before you buy a harness for your dog. For example, the corners of this product which cover the joints of the dog, especially their front legs are important too. It is the best idea to opt for harnesses with rounded corners because they are most comfortable. Look for rounded corners at the arms, neck and the strap areas. Hard corners can limit the movement of the dog and you should stay away from them. While we are talking about dog harnesses, we should point out that the D-ring where you will attach the lash must be centered well. The best dog harnesses have reinforced D-rings that promise good control and durability. Another good advice is to measure your dog before you buy a harness. You should measure under the front legs and around the torso. This will provide the so-called girth size which is necessary for buying a harness. Very small dogs have girth between 8 and 14 inches. Medium dogs have girth between 16 and 28 inches while large dog breed has girth between 26 and 40 inches. We hope this guide has helped you understand why your dog needs a harness and how to choose the most suitable for your individual fella. If you wish to discipline and train your dog, you might be interested in our article on the somewhat controversial training collars and when to use them. As always, feel free to ask questions and share your ideas.